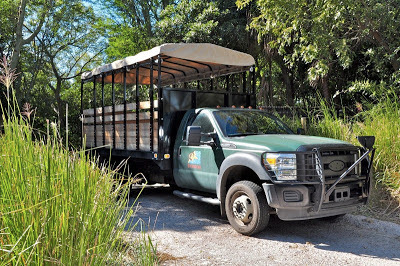 New to Jambo Everyone this week is our guide to the guided tours of Disney's Animal Kingdom and the Animal Kingdom Lodge. (Try saying "guide to the guided tours ten times fast"!) Click here to see the new Tours Page and feel free to comment here. Due to the fascinating wildlife at DAK and AKL, the tours offered there are, in my humble opinion, the best on offer at Walt Disney World. The Wild Africa Trek might be pricey, but I have yet to meet someone who experienced it and didn't think it was amazing. But the other tours are very impressive as well. Enjoy!